Statistics is the foundation of intelligent data analysis. 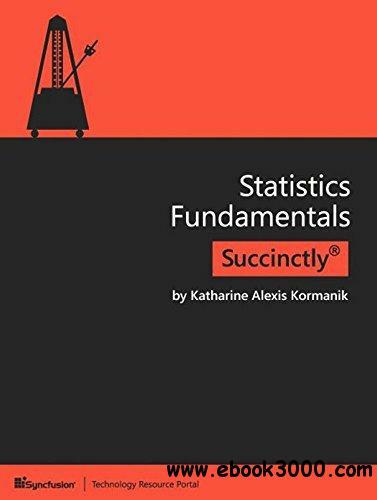 Statistics Fundamentals Succinctly by Katie Kormanik provides the foundational bricks and mortar needed to master the theories and methodologies behind statistical procedures. In less than 100 pages, you'll understand how to better gather and interpret all the information at your fingertips. In today's world, analyzing large data sets is more important than ever. Society's shift into the digital sphere has resulted in hundreds of thousands of data points being right at our fingertips. With this shift, statistical analysis holds greater relevance than ever, and people who understand how to work with numbers have a highly valued and sought-after skill. Why? Because numbers tell a story, and this story enables us to make the best decisions. This e-book on foundational (i.e. the theories behind the analyses) and computational (i.e. actually performing the analyses) statistics covers visualizing and describing data, making conjectures about populations (the entirety of the subjects that make up a particular group) based on samples (a group of subjects from the population), and using statistical tests to determine if two or more samples or populations are significantly different.